Here are the results from the Los Altos Competitions held since 2002. The first one was held in 1999. Congratulations on another great tournament! Here is a ranked list of overall scores and the scoring details for each team for each of their three runs. Here are the competition e-mail and team judging and mission schedule. The Los Altos Robotics 2014 FLL Tournament photos are available here. Thanks to Sally Li, our event photographer. The Innovators - Their project, while technically not addressing the challenge of learning, was extremely innovative and reflected great core values. Diabolical Chickens - The team members demonstrated an abundance of respect and friendliness toward each other and fellow teams, the embodiment of gracious professionalism®. Volunteer Awards were given out by Derek Witte. As he did so, he told people about what each person had done to win the award. Here is what he said. Congratulations on another great tournament! Here is a ranked list of overall scores and the scoring details for each team for each of their three runs. Here are the competition handout and team judging and mission schedule. The Los Altos Robotics 2013 FLL Tournament photos are available here. Thanks to Sally Li, our event photographer. Niles Lego Force - for reporting a scoring error that ended up being to their detriment. The judges also remarked that they were impressed with their gracious professionalism®. Loyola Legobots - The team entertained the judges with their exuberance and creative costumes. They were the personification of fun during the tournament. Volunteer and Coaching Awards were given out by Derek Witte. As he did so, he told people about what each person had done to win their award. Here is what he said. The Los Altos Robotics 2012 FLL Tournament photos are available here. Thanks to Sally Shan Li, our event photographer. Videos are also available here. Special thanks to Andy Woo for capturing the teams and posting the videos. Volunteer Awards were given out by Derek Witte. As he did so, he told people about what each person had done to win their award. Here is what he said. Congratulations on another great tournament! Here is a ranked list of overall scores and the scoring details for each team for each of their three runs. Here is the impressive scoring spread sheet created by Steve Puts and used during the tournament. Here are the tournament announcements and schedule for the competition day, matches, and judging. The Los Altos Robotics 2011 FLL Tournament photos are available here. Volunteer and Coaching Awards were given out by Mike Murray. As he did so, he told people about what each person had done to win their award. Here is what he said. Here is a ranked list of overall scores and the scoring details for each team for each of their runs. Here are pictures from the scrimmage. Congratulations on another great tournament! Here is a ranked list of overall scores, the match scores showing who played who on which table and at what time, and the scoring details for each team for each of their three runs. We had a great FLL qualifying Local Competition on November 21 at Blach Intermediate School. Here is a ranked list of scores, match by match scores, and detailed results from the competition matches and below is a summary of all of the awards. Photos courtesy of Shahid Ahmed are available for the Local Competition and the Scrimmage. Team Spirit Award: Lego Wegos - Great team spirit and the team was clearly enjoying participating in the tournament. Judges Choice Award: Lightning Bots - The team members did not know each other before the season, formed their team using a website sign-up, worked together well, had lots of fun, and were excited about the tournament. Schuh Family Award - honors one or more individuals who have consistently made generous and outstanding contributions over the course of several years to the events. Finbarr Crispie - Finbarr has been the steady voice in board meetings, helping to drive good decisions and always willing to take on a task to get things going. He recruited one of the best judging groups we have ever had for the 2008 Local Competition. April Liu - In her first year on the Board of Directors, she volunteered to coordinate all of the tasks and volunteers for putting on the Scrimmage and Local Tournament. Sriram Chelluri - Recruited an excellent group of referees for the Scrimmage and the Local Tournament and excellent Judges for the Local Tournament. Warren Horowitz - Took on a very important task of interfacing with the Nor Cal FLL group and did such a great job of it that he made it look easy. Karen Mahoney - Was the head referee for the second year in a row for the Los Altos Local Competition and helped Sriram recruit referees and judges. The Los Altos FLL Tournament, Blach Intermediate School, November 23rd, 2008. Final Results showing the awards earned by the teams and the awards given to volunteers. Photos courtesy of Jeff Dean are available as a gallery and a slideshow. Team list showing which schools team members go to, their grades, and experience. Local Competition score summary for all the teams sorted by highest score first. Local Competition match scores showing the team names and their scores for each match. Match scores showing the completed missions (html with "0"'s for zero mission scores & pdf) for all of the teams. Competition schedule showing when teams compete at the tables and when they are judged. Excel Scoring spread sheet from Steve Putz from Nov 23, 2008 Local Competition. It has scores for all of the matches. Thank you Steve Putz! Certificate PowerPoint files for all of the awards given out at the local competition. We had the Scrimmage at Blach Intermediate School on October 26, 2008. The scrimmage handout (doc) has the announcements, schedule, awards, and scrimmage match rules. The match list shows the scores for the teams in the order they competed. Ranked Scores for Scrimmage summary shows how each of the teams scored. The 08 scrimmage scores.xls spreadsheet was used to create the match list results and ranked scores summary. The 08 Scrimmage Scoring actual.xls spreadsheet was used for the score keeping at the scrimmage. 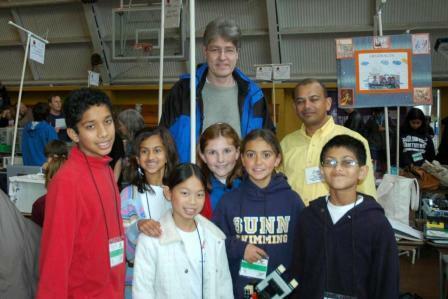 The Los Altos FLL Tournament was held at Blach Intermediate School on December 2nd, 2007. Team List showing who was there and which schools their team members attend. Match scores for all of the teams. Team results shows a performance summary for of each of the teams. Score summary showing the results for the different award categories. We had the Scrimmage at Blach Intermediate School on October 21, 2007. This table shows the teams and team information for the teams that participated in the Blach School Scrimmage held on October 21, 2007. Scores for the 31 scrimmage matches. Score summary showing the results for the different award catagories. Highest score for a single match, total points which is simply the sum of the scores from all of the team's matches, and average points, and most improved which is computed by taking the difference between a team's best score and their first score. Only the highest score for a single match was awarded certificates. Summary of each team's performance for all of their matches at the Scrimmage. Microsoft PowerPoint file used to print the Scrimmage Certificates. We had Local Competitions at two locations on November 18, 2006. Twenty seven Los Altos FIRST LEGO League teams with over 100 4th to 8th grade students participated in competitions at Loyola (North Teams) and Oak Avenue Schools (South teams) on Saturday November 18, 2006. From these, eight teams were selected to advance to the Northern California Championship Tournament to be held in San Jose on January 20, 2007. Two teams, one at each tournament, received the Champion's Award, which recognizes the most outstanding team based on robot performance, teamwork, a research project, and robot design. A Distinguished Service Award, Outstanding Volunteer Awards, and Outstanding Young Mentor Awards were given out for the same people at both tournaments. Here are the nomination forms for these awards. Here are the Local Competition results (PDF file) with an award summary, team summary, scoring summary, turn-by-turn results, and team summaries. Here are the Local Competition results with (part A) an award summary, team summary, scoring summary, (part B) turn-by-turn results, and team summaries. Here is the Microsoft PowerPoint file used to make the certificates. Feel free to use it to print out more certificates for your team. Feel free to distribute the PowerPoint certificate file, to modify it, and use it for future events. We had Scrimmages at two locations on October 15, 2006. This table shows the teams and team information for the teams that participated in the Covington School and Loyola/Oak Avenue School Scrimmages held on October 15, 2006. The Loyola/Oak Avenue Scrimmage took place at Loyola and the Local Competition for these teams will take place at Oak Avenue School. Scores for the 24 scrimmage matches. Score summary showing the results for the different award categories. In brief, awards were given for the most number of times at the table, highest points for a single match, total points which is simply the sum of the scores from all of the team's matches, and average points, and most improved which is computed by taking the difference between a team's best score and their first score. This Scrimmage was held at Loyola School. The Local Competition for this group of teams will be held at Oak Avenue School. Scores for the 19 scrimmage matches. 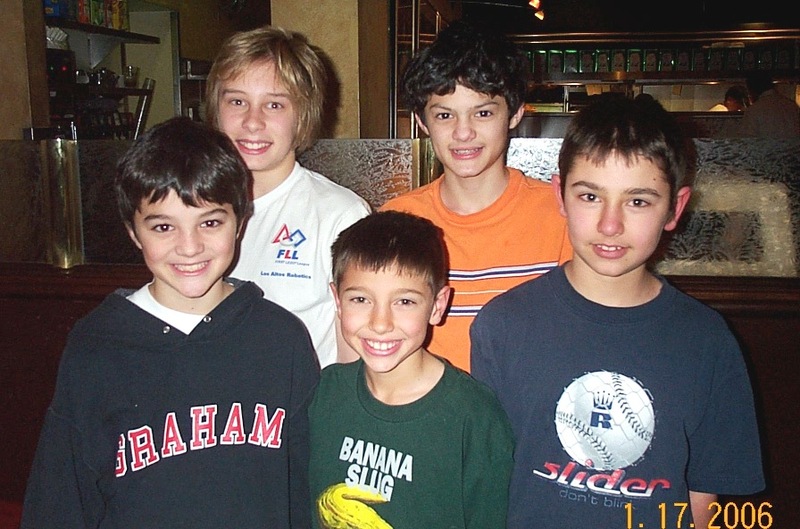 We had Local Competitions at two locations on November 19, 2005. Twenty three Los Altos FIRST LEGO League teams with over 100 4th to 8th grade students participated in competitions at Covington and Oak Avenue Schools last Saturday. From these, eight teams were selected to advance to the Northern California tournament to be held in San Jose on January 14. Two teams, one at each tournament, received the Director's Award, which recognizes the most outstanding team based on robot performance, teamwork, a research project, and robot design. The winning Covington team "20,000 Bricks" consisted of Michael, Rebecca, and Brian Burks (Los Altos), Brandon Young (Cupertino), Alex Luh, and Leslie and Gregory Irwin (San Jose) and the winning team at Oak Avenue School "Lego Legends" was made up of Steven Chakerian, Ehren Elder, Mark Mekkittikul, and Alexander Runke (all of Los Altos). For their research projects, the winning teams studied threats to sea otters (20,000 Bricks) and designed a way to get clean, renewable energy from the ocean (Lego Legends). Outstanding Volunteer Awards and Outstanding Young Mentor Awards were given out for the same people at both tournaments. Here are the nomination forms for these awards. Thanks to Kathi Fox, we have a great collection of photographs from the two tournaments available at her website. Here are the Local Competition results (PDF file) with an award summary, team summary, scoring summary, and turn-by-turn results. Here is the Microsoft Excel spreadsheet used for the scoring. Here is the Microsoft PowerPoint file used to make the certificates. Feel free to use it to print out more certificates for your team. Feel free to distribute the spreadsheet and PowerPoint files, to modify them, and use them for future events. We had Scrimmages at two locations on October 16, 2005. Here is a summary of the Scrimmage results with a team summary. The team summary lists the names, schools, grades, and experience for the teams. Here are the turn-by-turn results. Here are the team-by-team breakdowns. Here are the Scrimmage results (PDF file) with a scoring summary, team summary, and turn-by-turn results. Here is the Microsoft Excel spreadsheet used for the scoring. Here is the Microsoft PowerPoint file used to make the certificates. Feel free to use it to print out more certificates for your team. Feel free to distribute the spreadsheet and PowerPoint files, to modify them, and use them for future events. In addition to 6 teams placing in the top 25, the LEGO Legends placed 3rd Place overall for the the Director's Award. The tournament judges also bestowed a special award for mentorship on Austin and Travis Schuh. The Schuhs are past competition champions from Los Altos, now too old to compete in the tournament. The brothers created a training program for new teams and coaches. They made presentations to over 40 coaches at the beginning of the season and worked directly with six different teams, giving them hands-on training. The complete results from the NCaFLL web site are available here. There was also a nice article in the Los Altos Town Crier. Here is a summary of the results (PDF file) for the November 20, 2004 Los Altos FIRST LEGO League Local Competition with the award winners, Northern CA State Competition qualifying teams, all of the scores, and more competition information. Here is the full Microsoft Excel Spreadsheet used at the Local Competition with all of the scores. Here is the Microsoft PowerPoint file used to make the certificates. Feel free to use it to print out more certificates for your team. Feel free to distribute the spreadsheet and PowerPoint files, to modify them, and use them for future events. Here is a summary of the results (winners, PDF file) and scores for the October 17, 2004 Los Altos Scrimmage. Here is the full Microsoft Excel Spreadsheet used at the Scrimmage with all of the scores. Here is the Microsoft PowerPoint file used to make the certificates. Feel free to use it to print out more certificates for your team. Feel free to distribute the spreadsheet, to modify it, and use it for future events. Here is a summary of the results for the November 22, 2003 Los Altos Local Competition. The full Microsoft Excel Spreadsheet used at the tournament with all of the scores is also available. There is a lot of information to the right of the scores on the “Competition Scoring” worksheet. The spreadsheet works fine if you open it with macros disabled. Feel free to distribute the spreadsheet, to modify it, and use it for future events. Thanks to Dan Fairfax for creating it. Here is a summary of the results for the December 14, 2002 Los Altos Local Competition. The full Microsoft Excel Spreadsheet used at the tournament with all of the scores is also available. There is a lot of information to the right of the scores on the “Competition Scoring” worksheet. The spreadsheet works fine if you open it with macros disabled. Feel free to distribute the spreadsheet, to modify it, and use it for future events. Thanks to Dan Fairfax for creating it.